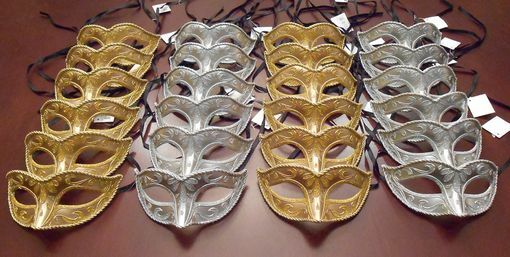 This masquerade party pack comes with 24 silver and gold hand painted masks. Mask is accented with glitter and ribbon trim around mask. Great for any large masquerade event.